Sevan Skin Serum Review (2018): Worth Buying? Anti-Aging Sevan Skin Serum Review: Does This Product Work? Sevan Skin Serum is an anti-aging serum said to penetrate the skin deeply to allow the ingredients in the formula to work effectively. It is meant to decrease wrinkles, remove dark circles under the eyes, and improve the skin’s appearance. 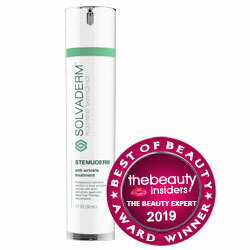 The manufacturer states the results of this serum are comparable to procedures such as botox. A trial of the product is offered in limited quantities daily, and is first come first serve. The manufacturer states that this product is recommended by dermatologists and is the fastest selling anti-aging product in the United States. However, there’s no information present about the ingredients so it’s difficult to predict that whether the product works well or not and there’s no clinical evidence for same. The manufacturer does not list all specific ingredients but states that the product consists of peptides, vitamins, and minerals. Sevan Skin Serum mentions Proprietary Biofil Dermal Lifting Hydrospheres. The formula for this product is not listed. Sevan Skin Serum: Does It work? No directions are provided for how to apply this product. However, the product may be similar to others in its category in that one must apply after washing their face with a daily cleansers to reap full benefits. The manufacturer has a trial system customers can use if they’re interested in seeing how this product will work for them. In fact, this is the first option offered on the site’s check out menu. Vitamins, peptides, and minerals are also a part of the product’s formula and this shows that the product will have positive skin benefits. The exact ingredients for the product are not listed. This makes it difficult for people with sensitive skin or allergies to decide if they can use the product without the risk of side effects. Though the manufacturer states the product is recommended by dermatologists, there are no specific links to scientific studies or reviews that give more information about how it works. Cost information is also not listed and the product is difficult to find in known online retailers such as Amazon. A trial of the product is offered but there are no money-back guarantees mentioned on the site. This means the consumer must research this possibility with individual retailers or merchants. Sevan Skin Serum does not divulge what Proprietary Biofil Dermal Lifting Hydrospheres are, which could also cause some customers to be wary of using the product because they do not know what is contained. 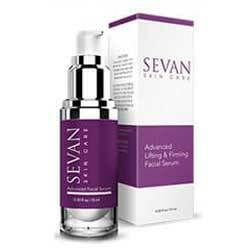 Sevan Skin Serum has a lot of positive reviews and publicity in known publications. The product’s site also mentions many positive results of using this product. However, there are other similar products on the market that list their ingredients, directions, and give money-back guarantees. For this reason, consumers must be open to other choices for their anti-aging regimen.